In the second round of “America’s Got Talent” Judge Cuts, special celebrity guest invited by Heidi Klum was crooner Michael Buble whom everyone in the audience went crazy over. Howie pointed-out that Buble is a “fellow Canadian”. Howard told Buble not to get in his way. When host Nick Cannon told Buble about his power of being able to send an act through to Radio City Music Hall by hitting his Golden Buzzer, Buble wanted to hit it right then and there. 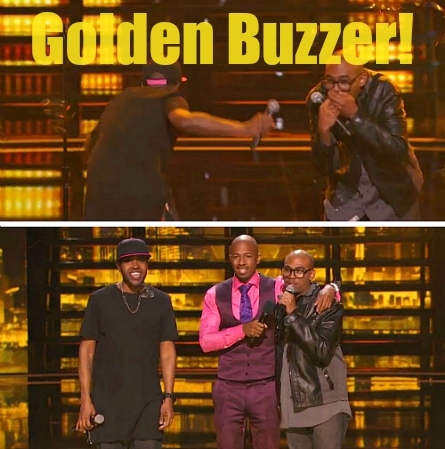 The judges yelled “no!” They had a small show delay last week when guest judge Neil Patrick Harris hit his Golden Buzzer at the beginning of the show which released gold confetti on-stage. The judges wanted to prevent that from happening again. Out of the twenty acts, there are only seven spots. 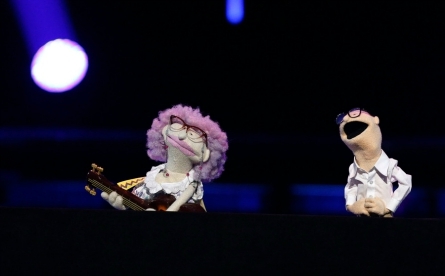 During this stage in the game, some of the acts buckled under the pressure, and some of them excelled. 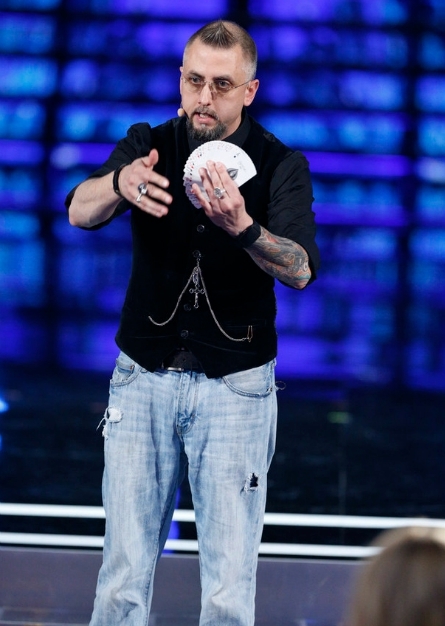 First up was magician Aiden Sinclair. This twenty-three year old singer sang classic Elvis song “Falling in Love With You.” Heidi really liked her and said she can really sing. Buble reacted that Elvis is his number one and has never heard it done thaty way. Howard told her to “own the stage” more. After Jenna left the stage Heidi mentioned to Howard that Jenna is “frumpy” and Howard agreed and that she’s forgettable. Shirley was escorted onto the stage with he new boyfriend, host Nick Cannon! She’s 87 years-old and sang “The Best is Yet to Come.” Buble said “it’s a great song and tough to sing.” He added that “you and Nick together is proof that you’re only as old as you feel.” Howard told her that she makes them feel good. “Let’s Get it On”. Then his mother said Ira thinks “let’s get it on” means getting ice cream. Mel B. accepted his invite to go get ice cream. Buble said Ira is likable and he’s easy to fall for. Howie said there’s only seven spots and they’ll see what happens. Benjamin is a 14 year old dancer who is losing his vision due to a disease called retinal distrophy where his eyes are dying. “You can’t see what we see, but we are lucky to see what you provide us” said Howie. Mel B. told his he is “unstoppable.” Heidi said “fantastic”. Buble called him inspiring and loved him as soon as he came out. Howard said, “when things are going wrong you don’t go in your room and hide, you come to a place like AGT,” and commended his bravery. FACINET SYLLA -One of the best street performance that I’ve ever seen but don’t know if it’s Radio City Music Hall Live level Howie told him. NASTAYA GENERALOVA – Her act was tumbling. 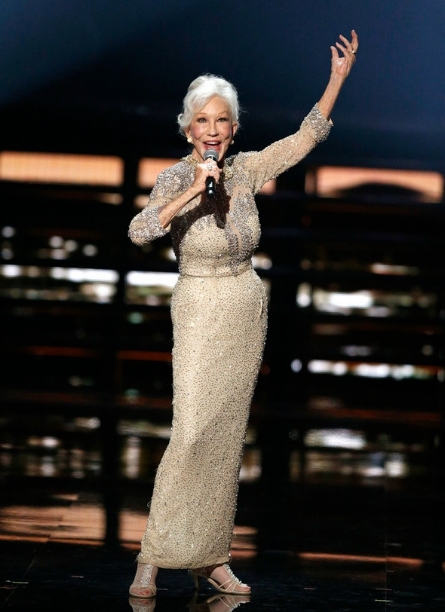 Heidi called her performance “flawless”. WES BARKER‘s act was to get out of a straight jacket to beat a clock that would expose his private parts on a large screen behind him. He succeeded, although Heidi wished he hadn’t. He’s a 39-year-old circus performer who performs dressed like Charlie Chaplin while climbing a stack of ladders. Howie said he could watch him for hours and he’s what they celebrate on AGT. Heidi called him “a feel-good act”. Buble was worried he’d fall to his death. Uzeyer invited Buble onstage to try it. But Buble chickened-out and only went up one step. Uzeyer said two years ago he fell and was in a coma for two days. Howard said he’s the kind of act that AGT want to promote. He’s gotten several Grammy nominations. He said now he’s singing at weddings. Michael Buble said Ryan has the best voice he’s heard on AGT so far. Buble advised him that he should have sang a Wilson Picket song because the house would have been in a roar and he has the tools to do it. Howard Stern said the singing category is jamed-packed with good people. Ryan is hoping to have a spot in that category to move on to Radio City. They’re two singers that look like rappers. The Craiglewis Band got four yes’s in the auditions. Buble stood up for them at the end of their performance, and said he doesn’t want to be on the same stage as them. Buble teased like he was going to push his Golden Buzzer several times before finally pushing it! Buble had stalled becuase he didn’t want to waste his buzzer on an act that he just knew for sure would make it through the Judge’s Cuts. But, lucky for them, their fate won’t be dependent on the judges deliberation because they’re going straight through to Radio City Music Hall. Mini Mike and Texas Trash are leading the stunt in which they’ll use a flame thrower, eight walls of fire and a ring of fire. “We’re going to go big by going small,”said Dr. Danger because mini Mike will be driving the motorcycle. Their built-up of the stunt did NOT live up to the execution. Howie and Howard both hit their X’s because they were “under-whelmed” they said. The judges were disappointed. However, Buble said he disagreed with Howard and Howie and that it was dangerous. DADITUDE returned with another on-point dance routine. Heidi liked that they are older and are dads. Mel B. said she particularly liked the “hip-thrust”. DM NATION – was up next. They’re an all female dance crew started ten years ago ages 14-29. They got a standing ovation at the end of their act. Buble said “I love your synchronicity” and said it was “tight”. Howie said it was so stront” and “that was girl power.” Mel B. said you danced so hard, that for sure, you’re not going home,” and said she’ll fight for them. Howard said they’ve gotten some tremendous dance acts. It was a bad sign from the start when they called themselves by the wrong name – Chippendales! This was an odd act in which it was difficult to understand what was going on. It started with an impersonator of President of the United States, Barack Obama, who said behind every successful man is a powerful woman. Each person on-stage revealed themselves one-by-one as a different celebrity impersonator. The first one was Michelle Obama followed by: Oprah Winfrey, Katy Perry, Lady Gaga, then ended with Miarah Carey. All of the judges pressed their buzzers. Nick Cannon was backstage laughing saying the act was bad! With four X’s they were eliminated from AGT for this season. Last time he was there, he hypnotized Howie Mandel and had him shaking hands with the other judges. Mandel said he was not thrilled with him. This time, he invited Mel B. and Michael Buble to be part of his act. When he attempted to hypnotize them both, neither one fell under his spell, and his act was a wash. He crashed-and-burned and was not selected in the Judges final cuts. He’s a comedian in drag who awed the judges and audience in the auditions. Unfortunately the pressure got to Scott, and he was unable to deliver his jokes. 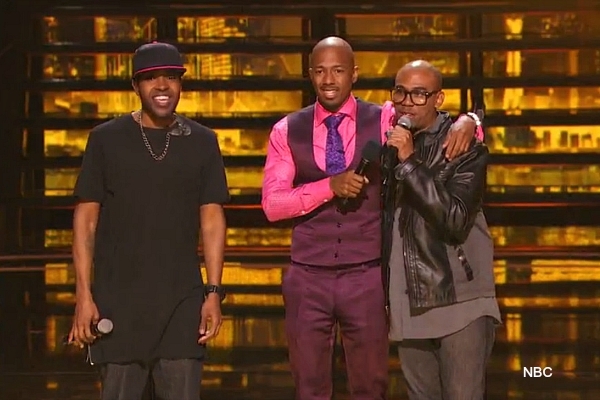 Howard told him that he admires his courage for coming onto the AGT stage. Buble said he doesn’t feel bad for Scott because it’s happened to all of them in the judges chairs. Mel B. said he’ll remember next time and this experience is going to make his future performances better. Later backstage, Howard went to Scott and gave him some loving words of encouragement. 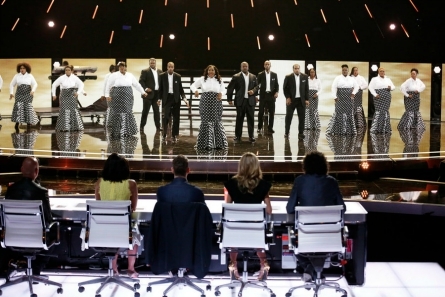 The choir that was started in the founder’s living room returned to secure a spot in the live shows. They’re from Detroit where they said they struggled. Their strong performance earned a standing ovation from the judges. Howard said they made an act that was “very good, great!” Buble said “pitch perfect, powerful and beautiful” and is in love with them. Howie said they were powerful, but there’s only six spots left. Heidi said it’s the hardest part telling people that they’re not making it to the next round. Buble delivered the news to the singers. He said it’s a crime that only one can go through. Ultimately, Selected of God Choir was the one. 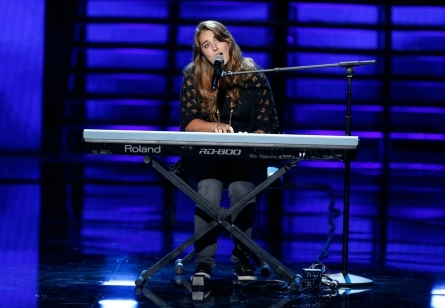 Other singers continuing on in the competition are: Daniella Mass, and The Craig Lewis Band.